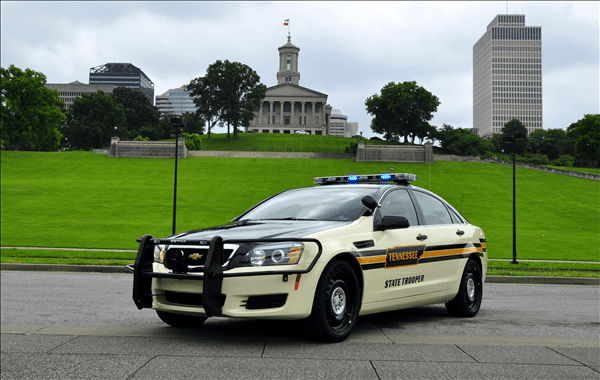 Nakisha Breedlove filed a lawsuit earlier this month, claiming she was forced to undergo an unlawful strip and cavity search at Nissan Stadium. A lawsuit was filed earlier this month in federal court by Nakisha Breedlove. According to the allegations mentioned in the suit, Breedlove was “subjected to an unlawful strip and cavity search by two law enforcement officers working security at Nissan Stadium.” The incident occurred back in 2017 during a Titans game, and is disturbingly similar to another filed in Davidson County Circuit Court in October 2018 by an unnamed woman. According to Breedlove, she was allegedly “approached near the ‘money room’ at Nissan Stadium after the Titans v. Colts game on Dec. 24, 2017, by an older, bald white male with a salt-and-pepper beard and wearing a brown uniform.” Referred to in the suit as John Doe, the male deputy accused her of “stealing from her employer, Legends Hospitality Group, and then threatened to put her in jail when she denied the allegations.” She was then “pulled her into another room by her clothing.” From there, the deputy demanded her to “strip down to her bra and underwear.” Around that time, a female security guard, referred to as Jane Doe in the suit, entered the room. On the day of the incident, records from the Tennessee Dept. of Safety & Homeland Security claim there were three THP troopers working security at the stadium. One of them, a THP lieutenant, “fits the physical description of John Doe, was working at the time” of the alleged incident. So far, the Tennessee Highway Patrol has declined to comment on the ongoing investigation and lawsuit. Jane Doe 1 v. Legends Hospitality, LLC., et al.